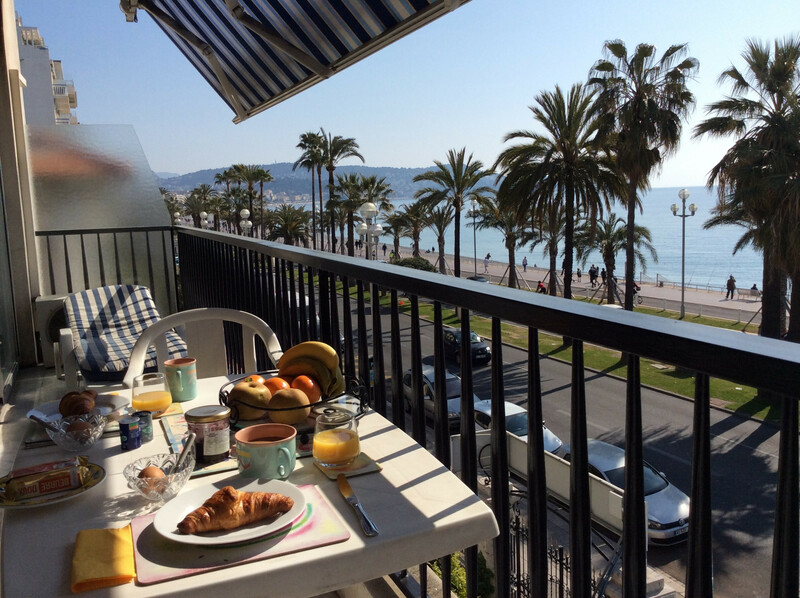 Thanks to this charming holiday rental apartement on the Promenade des Anglais, you will fully enjoy your stay in Nice and on Côte d'Azur. The apartment offers you a very confortable and bright living room with access to a terrace with sea view, a seperate kitchen which gives access to a balcony, 1 bathroom and a seperate toilet. The apartment has two bedrooms, the bedroom facing the sea has a double bed and the room on the north face of the apartment has two single beds that can be used as a double bed. The bedroom located on the south side has air conditioning and access to the main terrace where you will be able to enjoy all your meals offering a stunning panoramic sea view on the Baie des Anges of Nice! 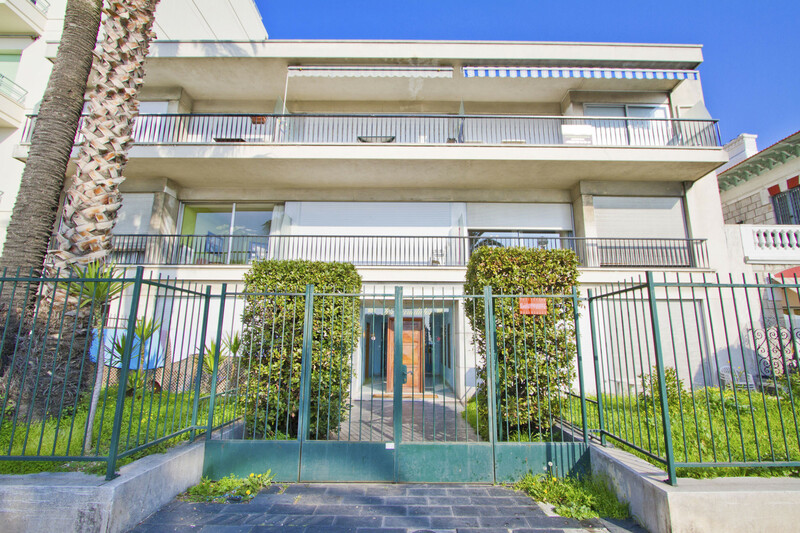 The apartement has a perfect location, on the Promenade des Anglais, close to all conveniences, 20 minutes walk from the city-center, the "Vieux-Nice" and the famous Place Masséna. The "Casino" supermarket is at 5 minutes walk away from the apartment and a bus station that goes to the city-center is at 50 meters. 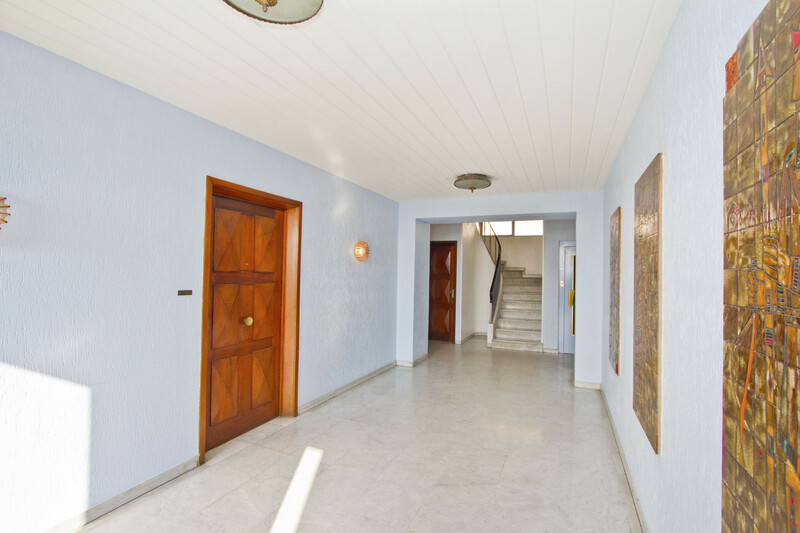 It is a perfect apartment and location to enjoy your holidays in Nice, Côte d'Azur. The "Baie des Anges" and the "Promenade des Anglais" are waiting for you ! 1 TV, TV Satellite (Languages: English, French), Stereo, DVD, 2nd floor, lift, terrace, iron, internet (Wi-Fi), hair dryer, balcony, 80 m² property, central heating, air-conditioned, Open-air parking in the same building, 2 electric anti-mosquito devices, 2 fans.